HUGE Country Club Estate w/ private pool, tennis court, and on a Fairway!!! 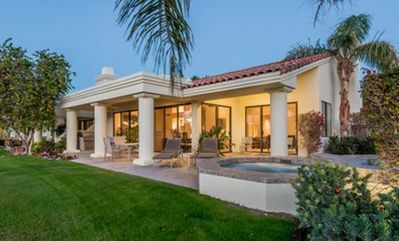 "El Refugio" is your one-of-a-kind hacienda home in the La Quinta. 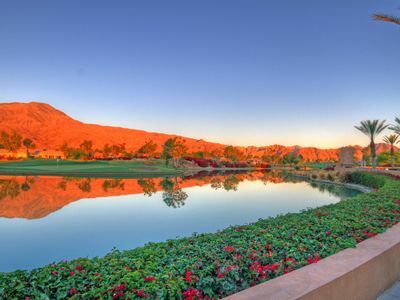 This desert gem offers a private lighted tennis court, pool, jacuzzi, and is located with views on the 8th fairway where the Bob Hope Classic tournament/Humana Challenge is played. Its three bedrooms and three bathrooms are very private in in separate corners of this one story beauty. The Master Suite has its own fireplace and the mother-in law suite has a private bath and mini-bar. After tennis, cool off in your sparkling pebble tech pool and spa. This very special home is made for relaxing and entertaining. 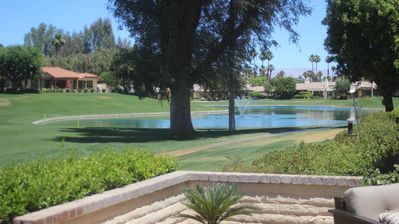 The lake-front views, Santa Rosa mountains, and 8th fairway at La Quinta Country Club are spectacular! The expansive covered back patio has a pool table and bistro seating for more good times. La Quinta Country Club is a gated community. 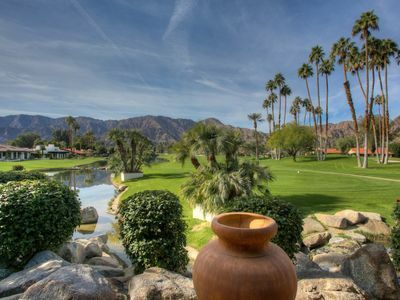 Should you choose to leave this retreat, La Quinta offers many things to enjoy including local restaurants, boutiques, spas, retail centers and is located off highway 10. Palm dessert and Indio are its neighboring cities. 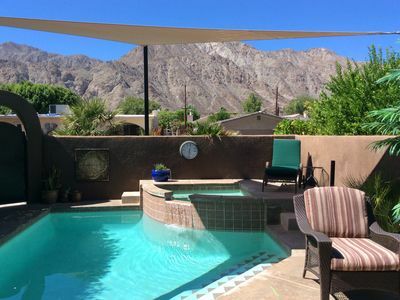 Palm Springs is west on highway 111 for the sight seeing or or take freeway 10E.A signed rental Agreement is required to book. Rental Agreement is offered after booking takes place. No parties or events allowed. Music festivals double rates quoted here. Must be 25 years of age to book.Our house rules: No smoking, No parties or events, Guests must be 25 or older, Suitable for pets. Stunning, dog-friendly, quiet home with private pool and spa! 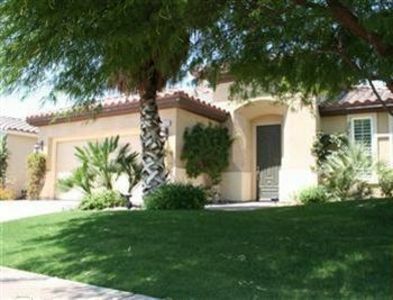 8th tee Stadium Course, private spa, A/C, cable & more!